Do you have a lot of pins kicking around? Looking for a craft to do? Why not pin art! I can't believe I didn't think of this before. When I was little I would play with my light bright which would be an easy transition into pin art. 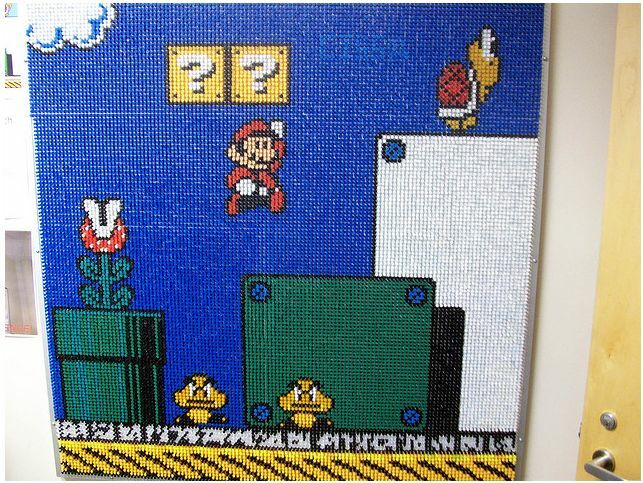 Thanks to Ranadok for putting together this great scene from Super Mario Bros 3 out of push pins. There are over 17,000 pins on the board, and the work was done entirely by students, mainly members of the CIS Student Association.